When I'm not inking up stamps for cards, I love to play around with jewelry blanks and Ice Resin. Here's a few pieces I created, directions can be found in the Crafts 'n Things August issue. Gorgeous jewelry! 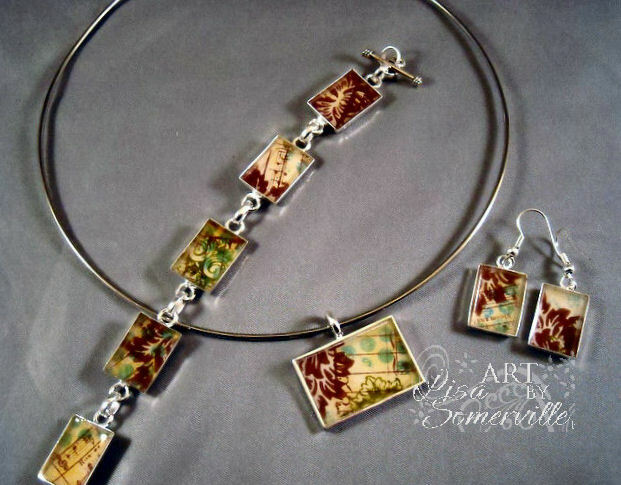 Love how you created the mix of stamps and colors in this beautiful set! Wow this is lovely!!! !Great job on the jewlery!!! Wow...you do it all, don't you? Very nice! Love that set!!! Wow, beautiful jewels GF! Love the colors! Oh My Lisa ~ You talented little devil you...how beautiful...you have a gift with your different ways of crafting...I envy you that...again, beautiful!! TFS!